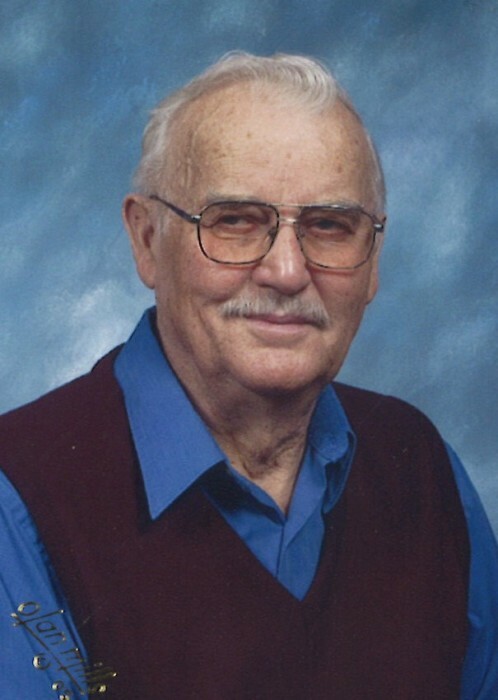 Melvin J. Latare, 89, of Oxford Junction passed away at Pinicon Place in Anamosa on April 8, 2019. A funeral service will be held Friday, April 12, 2019 at 11:00 a.m.at the United Methodist Church in Oxford Junction. Friends may call on Thursday, April 11, 2019 from 4:00 p.m. – 8:00 p.m. at the Lahey and Dawson Funeral Home in Oxford Junction. Burial will be held at Mayflower Cemetery with Military Honors. Melvin John Latare was born on August 13, 1929 in Jones County, Iowa to Jens and Freida (Petersen) Latare. He was a graduate of Oxford Junction High School in 1947. He served honorably and faithfully in the United States Navy. He married Sharon Jeffery on January 17, 1953 at the United Methodist Church in Oxford Junction. Over the years he worked as an Industrial Electrician. He helped on the family farm and farmed with his brother for several years. Melvin was a member of the United Methodist Church in Oxford Junction, the Masonic Lodge and the IBEW-Local No. 145. He was an avid Cubs fan who enjoyed playing cards and especially his pinochle club. He is survived by his wife Sharon, children; Rhonda (Mark) Ingwersen, Brad (LeeAnn) Latare, Lyndon Latare, Danette (Clay) Pestka, 11 grandchildren, 19 great-grandchildren with three on the way and a brother Merlin (Audrey) Latare. He is preceded in death by his parents, brother Norman, sister Alta Brinkman, 2 sister-in-laws and one brother-in-law. Memorials may be directed to the family in Melvin’s honor. The family of Melvin would like to extend a special thank you to the staff at Pinicon Place and Unity Point Hospice for the great care they gave to him.